WWE Mayhem is available now and it can be downloaded free on iOS devices via the App Store and Android smartphones and tablets through Google Play. Reliance Games, a global developer of free-to-play mobile games, has now partnered with World Wrestling Entertainment (WWE) to launch 'WWE Mayhem' over-the-top, arcade-style action game that features WWE superstars and legends. 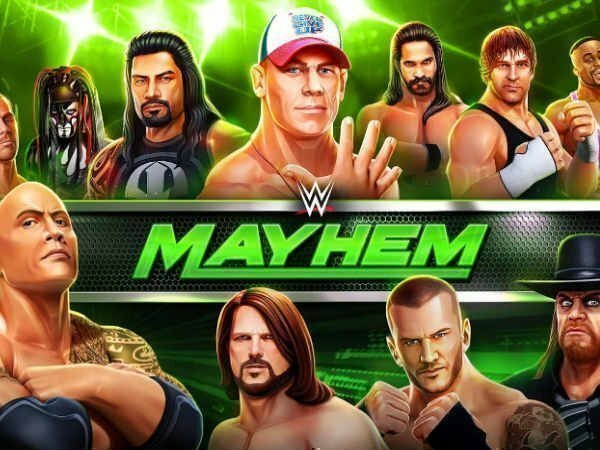 Available now, WWE Mayhem can be downloaded free on iOS devices via the App Store and Android smartphones and tablets through Google Play. "With a spectacular roster of some of the best champions to ever enter the ring, WWE Mayhem lets fans decide which WWE legends and superstars are truly the greatest of all time," Amit Khanduja, CEO, Reliance Entertainment Digital, said in a statement. WWE Mayhem will offer an enhanced gameplay experience by allowing players to unlock unique content when used in conjunction with Mattel's WWE Retro Figures. Players who have the WWE Retro Figures will be able to scan their figure within the game to unlock WWE superstars. Users can play as John Cena, The Rock, Brock Lesnar and all their favorite WWE Legends and Superstars in this high-flying, in ring, arcade action game. Furthermore, WWE Mayhem delivers multiple ways to play. Users can take on friends from around the world in one-versus-one matches, join weekly events and challenges pulled from real-world WWE shows or enter tag-team match-ups with other champions. "Take your WWE Superstars to the next level in weekly WWE RAW and SmackDown Live challenges. Play through epic matches between WWE Legends and WWE Superstars to determine the greatest of all time, each with their own Signature Moves and Super Specials," as per the company's description in the app store. "WWE Mayhem captures all the energy, excitement and emotion of WWE's live action in a mobile experience that any fan can enjoy," added Casey Collins, WWE Executive Vice President, Consumer Products.